Colour is a lot more than what just meets the eye. All photos supplied. As a passionate lover of colours, I’ve always been drawn to particular colours at different phases of my life. I have experienced alignment and big doses of positive energy emanating from those colours that I have been drawn to. 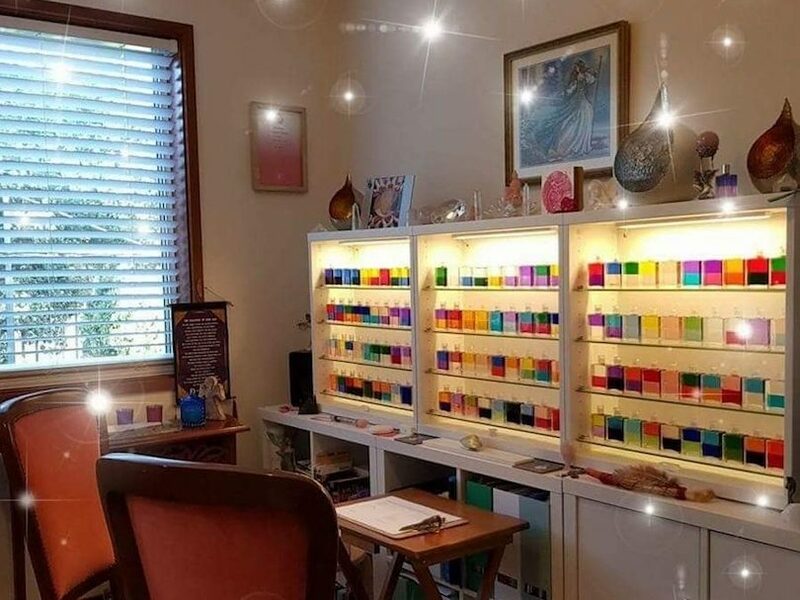 So you can imagine my delight when I recently came across Aura-Soma colour therapy and was finally given the opportunity to understand the significance of the magnetic allure to colour. 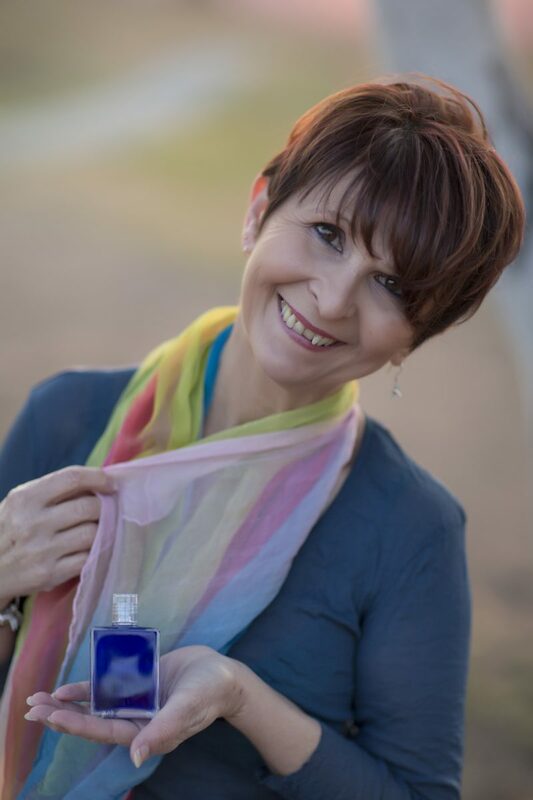 I got in touch with Canberra’s professional Aura-Soma Practitioner, Rozalia Brien to get an understanding of why this colour therapy is said to empower people to change the course of their lives towards a path of happiness, health and vitality. RA: What is Aura Soma? RB: Aura-Soma is a form of colour therapy and energy work that supports a person’s wellbeing. It works in a very gentle and supportive way to bring balance within ourselves and raise our consciousness. Vicky Wall, a British Chiropodist and pharmacist, healer and herbalist who is acknowledged as the founder of Aura-Soma often said: “You are the colours you choose”. When talking about colours, we are talking about the three energies that come together and are at the core of the Aura-Soma Colour Care System; the mineral kingdom, the plant kingdom and hue-man kingdom (or) world of colour and light. 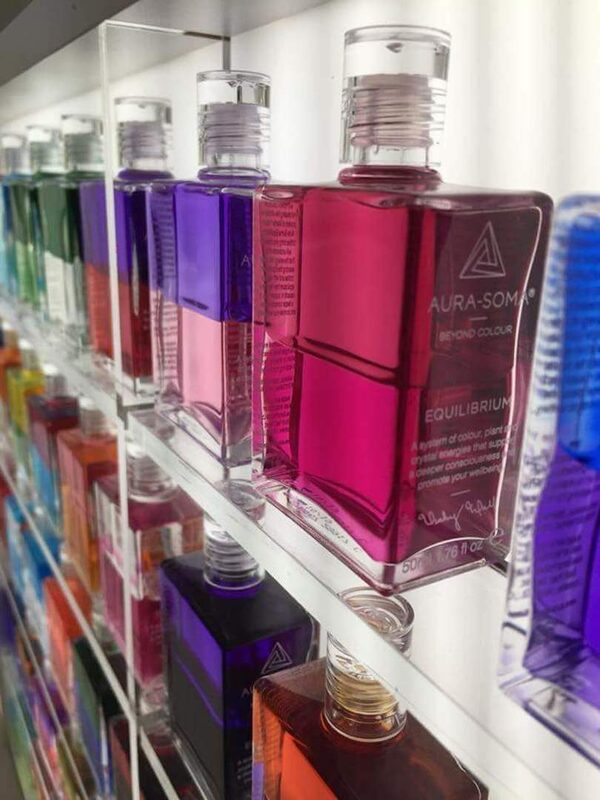 The Equilibrium bottles are central to Aura-Soma. At present, there are 116 coloured bottles that contain the energies of plants, crystals, and colour. They are living energies and interact with our own individual energy fields when we stand in front of them. The bottom portion consists of water (some of which comes from Glastonbury Well in England), herbal extracts, colour, and crystal energies, while the top portion is derived from vegetable oil, essential oils, colour, and crystal energies. Aura-Soma is an ancient knowledge that has been reborn and revitalised into a living energy system, easily accessible to all. It speaks in a universal language through beautiful bottles of rainbow coloured oils, special essences, Pomanders and Quintessences. Today, Aura-Soma is known and used worldwide, even by trained practitioners. RA: How long have you been a practitioner and what led you to this therapy? RB: In 2001, I encountered Aura-Soma at an Expo/Festival, when I walked into the room and these amazing colours jumped out at me and caught my eye. I was in awe, I had never seen anything like this amazing beauty held within glass bottles. I was captivated and wanted to know more about the colours and what they were about. I immediately completed a mini-workshop but there was so much to take in, that I became lost in the need to learn more. My first full consultation was not until 2007, and that experience opened my eyes and lead me on another journey. My studies commenced in 2009, and after completing my studies I became an Aura-Soma Practitioner in 2012. Since 2012, my desire to know more about this amazing system has not stopped. RA: How exactly does the colour therapy work in creating healing, balance and wellbeing for clients? RB: The Aura-Soma Colour Care system four-bottle consultation is usually the first step in helping with a client’s wellbeing. During the first stage of the consultation process, the client stands in front of the Equilibrium bottles and breathes, relaxes and their individual energies start to interact with the bottles energies. 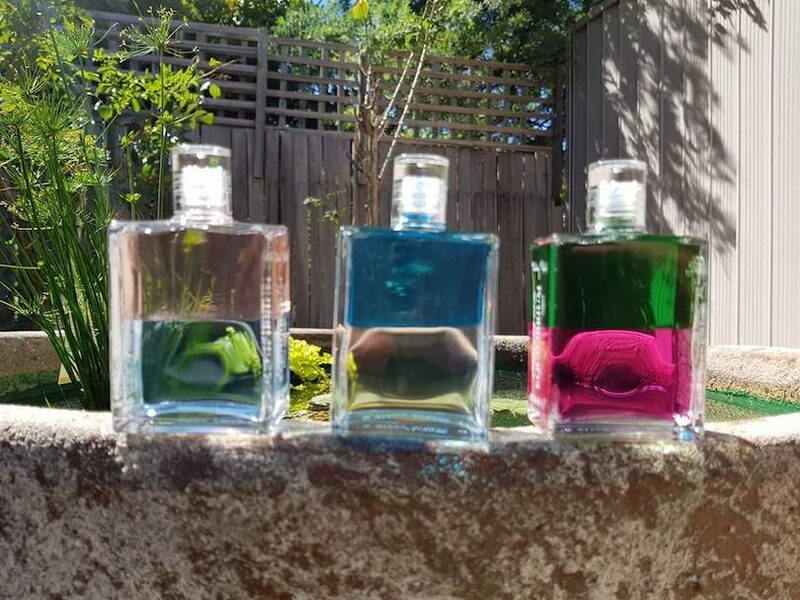 As we are “drawn” to certain Equilibrium bottles, those colours chosen reflect the needs that we have hidden within ourselves. Our colour choice helps us to recognize these needs at a deeper level. It is like our own colour code that is linked to our life’s journey. As a Practitioner, my role is to assist and guide the person through each step of the revelations. The key to moving towards balance and wellbeing is using the colours/bottles. 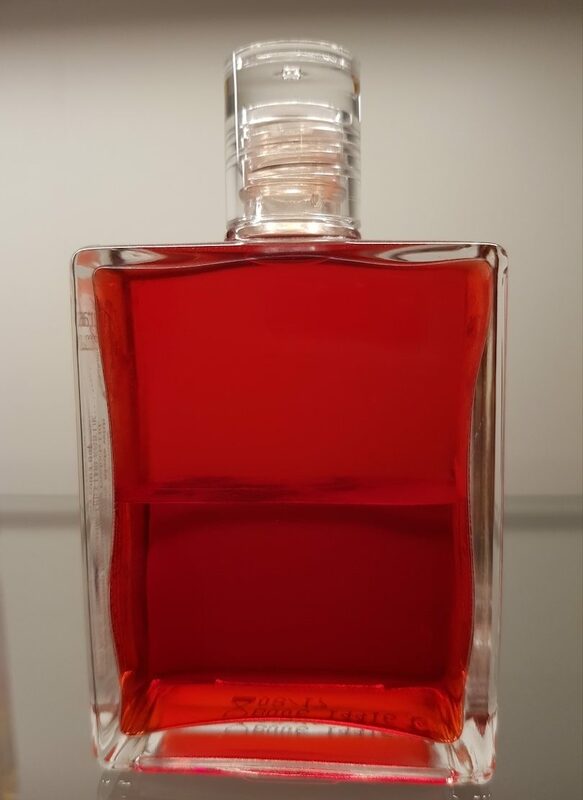 It is very easy to use: By choosing 1 Equilibrium bottle to start with, and simply putting the oils and essences onto the body, it helps to bring your being into a state of balance and the colour and energy connection with the client’s auric field and chakras. This may help to increase self-awareness and create a harmonious sense of well-being around and within the person. As mentioned, the choice of colour reflects the [client’s] personal needs and assists the client to find a truer understanding of their potential and purpose. Otherwise, it is like window shopping, looking, admiring but not feeling the full experience. RA: How are people able to identify if Aura-Soma is the therapy that they need? RB: I have found over the years that the use of Aura-Soma is a personal choice. People who see me at an Expo or come for a consultation will say that “I feel drawn to the bottles.” I then explain to them the meaning of Aura-Soma, i.e. Aura; a word from Latin, meaning, “light” and referring to the electromagnetic field surrounding everyone, and Soma; an old Greek word for “body”. [I explain to them that] our own vibrational energy is drawn or aligning with the energies in the Equilibrium bottles, and as we allow this process to happen, it shines the “light” on our egos and our past wounds so that, through the use of the bottles, we may heal. It reminds me of a client, who will remain anonymous (but has given me permission to use this example). This person mentioned to me that they were drawn to come and see me and the bottles and was not really sure why but as the bottles were ‘pretty,’ thought, ‘why not?’ Anyway, as they stood in front of the bottles they were drawn to the Equilibrium bottle number six. This was Red on Red. As we explored this choice, it was revealed that they had past traumas with their family of origin and as a result, they then identified the source of their ongoing anger. Because of this awareness, and insight, this person was able to initiate steps to heal this area of their life and connect to their inner beauty. Learn more about Aura-Soma from Colour and Touch with Rozalia. if you’re keen to further unravel the magic of Aura-Soma, Rozalia is reachable by email on colourandtouch@gmail.com and on mobile, by dialling 0438928011. Would the author and owner of the company direct us to peer reviewed papers of scientific evidence in reputed scientific journals that validate the claims of energy transfer to/from the bottles of coloured liquid.